Turbovent’s technicians offer expert servicing of air conditioners and evaporative coolers throughout Gauteng. This is part of our turnkey service, which includes analysis of indoor air quality needs, advice on the best cooling and heating products, installation, after-sales and technical support and system maintenance. All our technicians are properly qualified and experienced. They also attend regular training workshops, ensuring they stay up to date in their fields. Regular servicing of air conditioners is vital for ensuring that the units perform at their best and have the longest possible lifespans. Generally, any air conditioner should be serviced at least annually – although twice a year is ideal. Turbovent technicians offer comprehensive aircon servicing, as well as expert repair services, for all brands of air conditioners available in Gauteng. 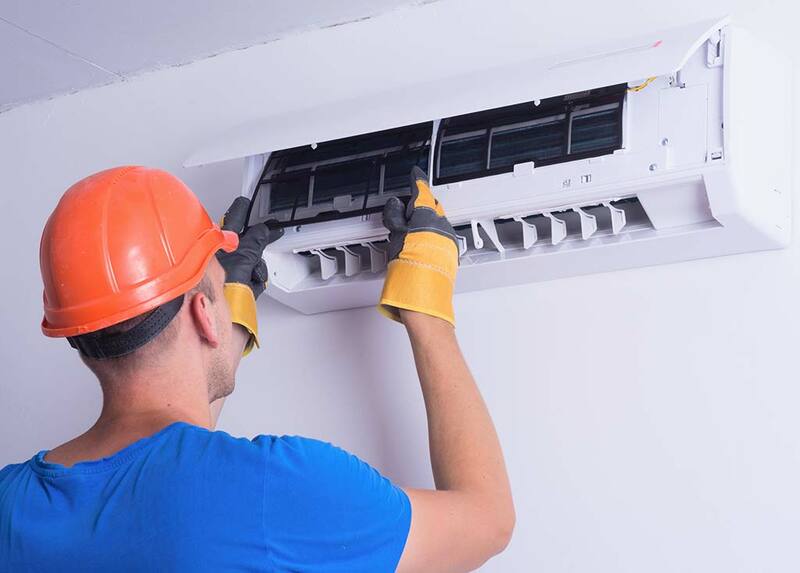 Air conditioner servicing and maintenance includes compressor conditioning, filter changes, dust removal and inspection of pipes and ducts, along with any required repairs. Like air conditioners, evaporative coolers should be serviced at least annually. Evaporative coolers have few moving parts and aren’t highly vulnerable to mechanical breakdowns. However, they can become clogged up with dust and small debris. They also provide a damp environment that may encourage growth of mould and bacteria. Our technicians perform expert evaporative cooler servicing to ensure your unit functions optimally and circulates only clean air. This involves removing and cleaning louvres and filter pads, cleaning the water tank, testing for proper airflow, testing each system component – including the water pump, fan and drain, float and solenoid valves – and performing a full-function test. 0860 266 537 or use the online form.